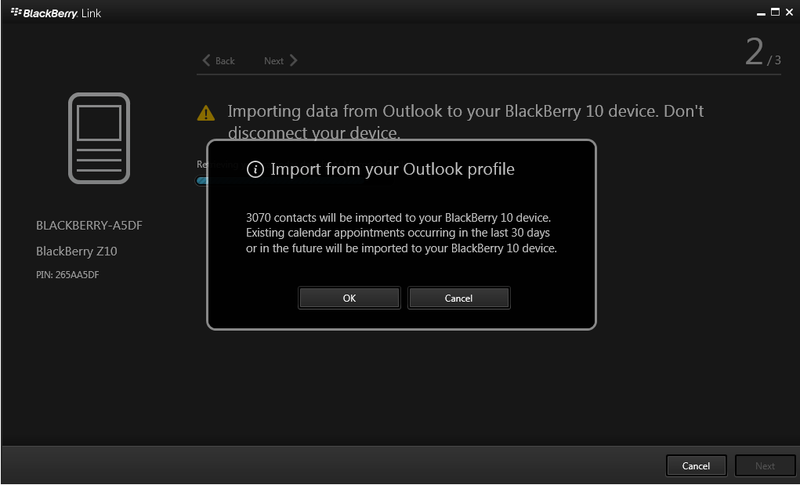 First time BlackBerry Z10 users always ask this question “How do I transfer my contact and calendar info form my Outlook onto my Z10 ?”. Up until now the answer was to use Gmail or Outlook.com. I am glad to report that this is no longer the case. 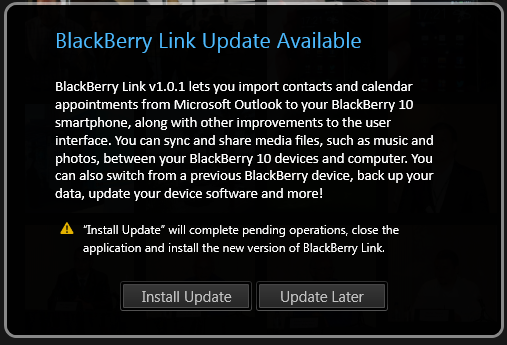 The new BlackBerry Link get the much needed update: the ability to import Outlook Contacts and Calendar items directly from the computer to the BlackBerry Z10 without going through any cloud services such as Google or Outlook.com. This feature works on Microsoft Outlook 2007, 2010, and 2013. Note: To avoid any confusion, this option is an IMPORT only option. It is not a Synchronisation option. How do you get the Update 1.0.1 ? After you select Install Update and reboot your computer, you will have the new ability. If this is the first time you are using Link to migrate from your old BlackBerry to your new BlackBerry Z10 or if you are just setting up your phone for the first time, then the import Contact and Calendar is just part of the setup and migration process. 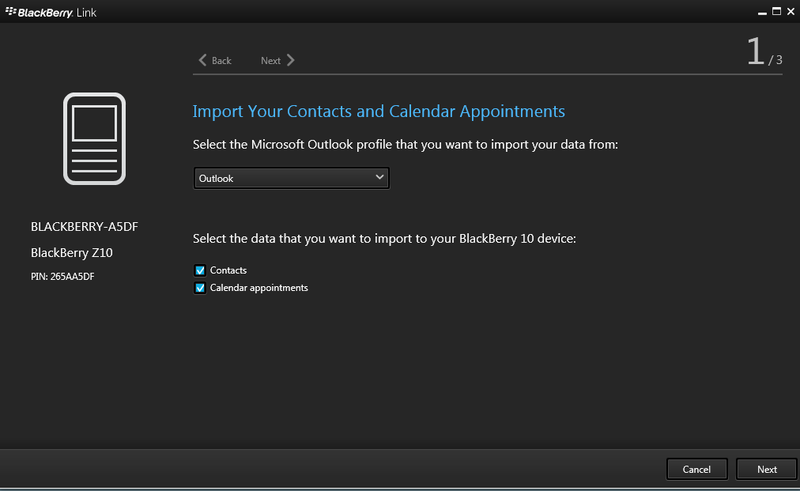 Simply follow the steps and on the Import Contacts and Calendar Appointments from Microsoft Outlook screen, click the Transfer Data button. 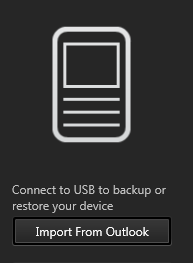 If you are an existing BlackBerry Z10 user and just want to import your Contact and Calendar appointments then simply connect your Z10 to your computer via USB (or connect it wirelessly). What can be added ? 3. What to do when there is a conflict option. How will the software handle an appointment or a contact that was deleted on the phone but not on the computer or visa versa ? I am very glad to see Link developing and improving all the time and look forward to more enhancements – especially Synchronisation and not just importing.